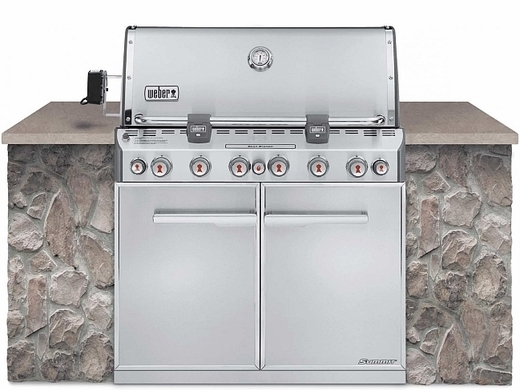 The Summit S-670 gas grill is the top-of-the-line grilling masterpiece. There's a high-heat Sear Station, enhanced lighted control knobs, LED tank scale, side burner, Tuck-Away rotisserie system with separate fork and spit storage, smoker box and burner, and so much more. Luxury has officially arrived.